ASIS Boats has built and delivered an 8m Elite Rigid Inflatable Boat for a big Dubai developer in a very short delivery time. This RIB was required urgently and has been fully manufactured, rigged and delivered in a period of 10 days only. 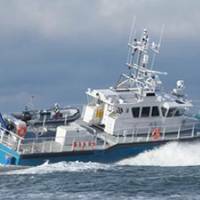 Engineering, design and production are all performed in house giving ASIS Boats the capability to create new models in a short time and meet customer specific requirements. This also makes the delivery time fast since ASIS holds control of most of the elements that go on the boat. 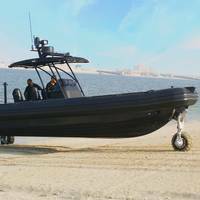 Following the success of the ASIS Amphibious RIBs 7.1 and 6.1m, and in response to popular demand; ASIS just developed, tested and delivered its biggest amphibious RIB ever manufactured yet; A 9.8 meter Black Rigid Inflatable Amphibious boat. This boat is intended for private use, and will reach its owner in The United States in September. The Sealegs amphibious system available on the ASIS 9.8m RIB consists of motorized, retractable and steerable wheels, powering the boat with off-water capabilities The entire system is marinised and stays completely out of the water while underway. 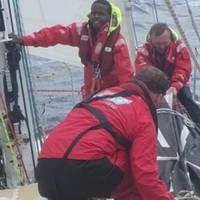 Strong winds in the Da Nang New Discovery of Asia Race have led to some thrilling racing conditions for the Clipper Race fleet, with teams recording speeds of over 32 knots near the virtual mark at the most southern point of the course. The choppy sea state presents its own challenges for the crew but as the front runners begin their journey north, conditions are expected to ease slightly over the next couple of days as a high develops off the south of Japan. As Derry~Londonderry~Doire continues to lead the fleet, GREAT Britain and Garmin are in an ongoing battle for second place. 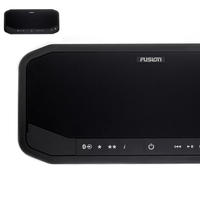 FUSION Entertainment announced today the release of a new compact and cost effective series, the MS-RA70 and MS-RA70N. Featuring a sleek front face finish with a shallow-mount case design, the new FUSION audio system delivers clear and dynamic sound reproduction in a marinized, space-saving chassis for flexible installation options, the manufacturer said. Engineered to seamlessly replace any standard DIN-sized car stereo, the low-profile MS-RA70 design allows for integration without the need to redesign the dash space. 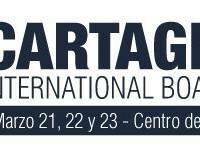 For the third year in a row, the Cartagena International Boat Show (CIBS) will set anchor at the Cartagena Convention Center where they expect to draw close to 5,000 visitors from around the world on March 21, 22 and 23, 2015. 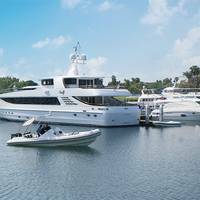 Exhibitors from around the world will showcase the newest boats, from luxury motor and sailing yachts to personal watercraft and sport fishers, including powerboats, sailboats, jet boats and electric boats, as well as the latest cutting-edge electronics, engines and marine accessories. 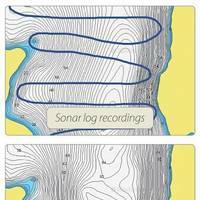 Cartography Leader Now Accepts Multiple Sonar Log Formats Enhancing Award-Winning Platform. 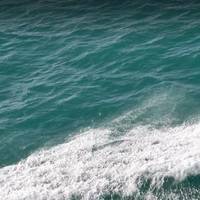 Navionics has announced a new development in its SonarCharts high definition bathymetry map. Now compatible with sonar log data formats from leading echosounder and GPS chartplotter manufacturers Lowrance, Raymarine, Simrad and B&G in addition to Humminbird and Garmin, with wireless connectivity for supported devices, Navionics said it makes it easier than ever for users to share sonar recordings which improve SonarCharts for future trips. 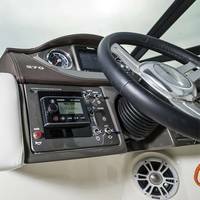 Garmin International Inc. has won the DAME Design Award at the current Marine Equipment Trade Show in the marine electronics category for their collaboration with Volvo Penta on the Volvo Penta Glass Cockpit. The DAME Design Award is awarded at METS to the best and most trendsetting new marine equipment and accessories in the industry. 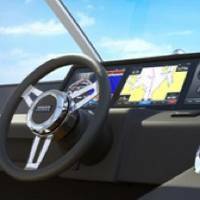 Garmin jointly collaborated with Volvo Penta, to design the fully integrated Glass Cockpit, which displays control and monitoring capabilities along with navigation, engine data, warnings, alarms and other information. 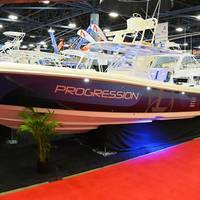 The 22-foot powerboat, Furina, with a unique style and high-end performance, is slated to be revealed to the public at the 2013 Fort Lauderdale International Boat Show. 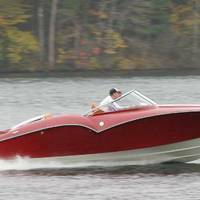 Ross K. Hartman, president of Danalevi Corporation, whose passion for design and appreciation of classic automobiles combined to inspire this first prestigious powerboat for Danalevi says: "With American muscle car feel and classic European styling, Furina will be appreciated by both auto and boat enthusiasts. 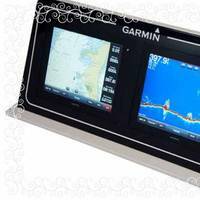 Teak Isle now offers boat builders engraved acrylic dash surround panels for use with Garmin 8000 series multifunctional glass displays. By using ½" black acrylic these dash surrounds give a clean single panel integrated look when mounting multiple or single displays. Teak Isle is supplying these dash panels to the boat builders along with a drilling and trimming fixture for precise alignment of the units on the dash. Teak Isle cuts all parts on CNC routers to insure precise sizes and is available with or without blind mounting bolts. 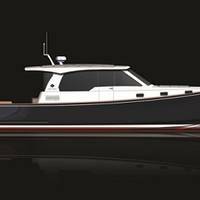 True North Yachts, a Division of US Watercraft, LLC, announced its new flagship, the True North 50, the newest 50 foot power yacht to be added to the 2014 product line. The True North line currently consists of 34 foot and 38 foot model yachts. In coordination with Langan Design Partners, True North Yachts designed the TN50 to revolutionize their line by making the appearance more contemporary, focusing on the enjoyment of being outdoors, ease of ownership, safety, and comfort at sea, the company said. Garmin International Inc. launches its new GHP 20 Autopilot with SmartPump at Southampton Boast Show. Offering one pump size that handles most boat sizes and applications, the GHP 20 Autopilot with SmartPump is a tremendous advancement in hydraulic steering systems. 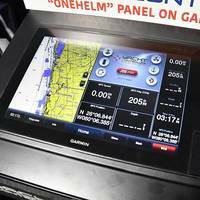 “Installing dealers will benefit greatly from the GHP 20 Autopilot with SmartPump, as it effectively puts an end to guessing which pump size will work for a particular boat,” said Dan Bartel, Garmin’s vice president of worldwide sales. The GHP 20 with SmartPump automatically adjusts the maximum flow rate for a particular boat.